Each London borough has an office that deals with filming. These are called Borough Film Services (BFS). They are the first point of call for on-street filming as well as filming on public land or in council owned properties. The BFS will liaise on your behalf with council departments, including those responsible for parking and refuse collection. Some Authorities offer the option to obtain a Notice of No Objection - essentially an informal letter confirming that, based on the information you've provided, the Local Authority has no objection to the filming going ahead. Not all boroughs offer these Notices; with those that do, some provide them free of charge and others charge between £25-£100. Be aware that this notice does not provide a carte blanche. If your filming creates an unforeseen obstruction you can still be forced by the police to move on. All crews using a tripod to film in Westminster must obtain a Notice of No Objection. Applications for small crews need to be made with a minimum of three days notice. Productions using handheld equipment do not need to obtain a Notice. There are different rules depending on the type of production you are running. If your filming is likely to cause an obstruction then you need to submit a filming application to the relevant local authority through the Borough Film Service. If your filming will not cause any obstruction you are not legally required to gain a license or any official permission. 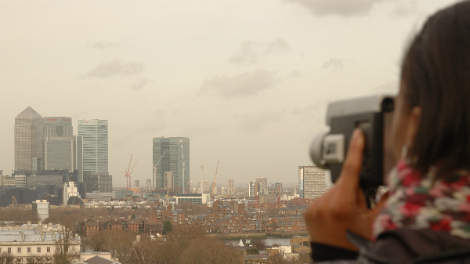 However, we strongly recommend that anyone filming in London contact the relevant Borough Film Service. This is the only way to ensure there will not be problems on the day. If your production is considered to be causing an obstruction and you do not have permission to film then you could be stopped on the day. It is best to make your initial enquiry by phone and then apply formally. Charges, restrictions and parking arrangements vary between the 33 London boroughs. You can also contact the relevant Borough Film Service for a breakdown of charges.